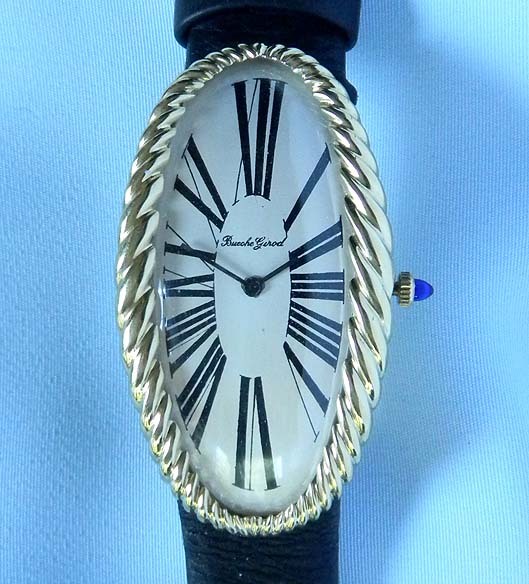 Good Swiss 18K gold oversize vintage wrist watch by Boeche Girard circa 1970. The curved case with rope twist bezel and hidden lugs. Original dial with black exploding numerals and blued steel hands. Cal JD21 Incabloc 15 jewel5 adjustment rhodium movement. 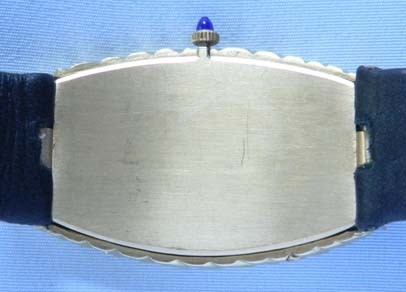 Probably inspired by a similar Cartier design.